On Saturday, October 27, 2018 the MYC hosted its 18th Annual Fundraising Dinner at Crystal York Banquet Hall. The beautiful audience was filled with families and especially the Youth. The Program started with a Welcome address and outline of the Program done by the President of MYC, Brother Kareem Husain. Then the Master of Ceremonies Brother Ahmed Salih introduced the Quraan Reciter, Brother Furquan Memon and the translation was done by Brother Yusuf Qayum. 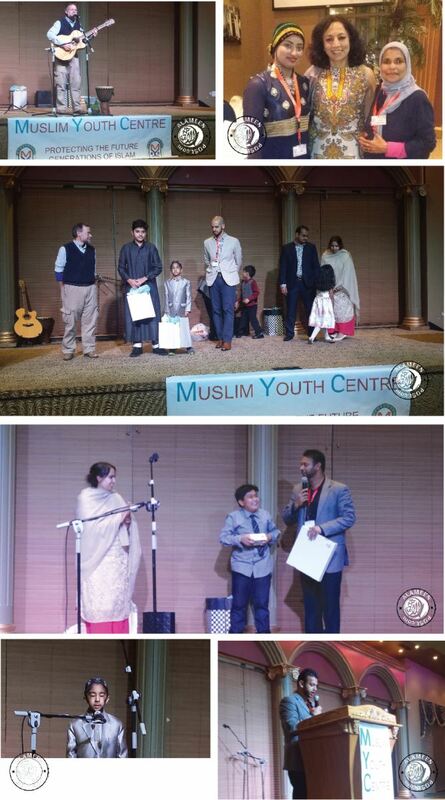 It was a beautiful recitation for the Youth and their parents. We opened the Program with the recitation of the Quraan to give praise to God. A fun Knowledge game was done by Jannat, Suhaib, Faisal and Yusuf. They read the questions to the children in the audience who answered it and won prizes. It was very interactive and all the children were enthusiastic. There was a spectacular taekwondo performance presented by the Youth of MYC which was led by Black Belt Instructors Adam and his sister Alia Ishmail. The hard work and dedication of the Youth were truly inspiring with them displaying poise and discipline. The guest speaker was a motivational speaker/songwriter Mr. Dawud Wharnsby Ali who played live music for the audience and inspired the Youth and their families. He performed his famous songs with new hits as well. This was followed by the Fundraising portion where the audience gave generously. The money raised will go towards Youth programs and maintenance of the building. Sonia Andhi, who ran in the last election for Surrey School Trustee gave an impactful speech about the importance of diversity, Family, Youth and working together as one community. It is written in the Holy Quraan, ‘“For those who believe and do good deeds, these are the dwellers of the Paradise, in it they shall abide.” (Chapter 2: Verse 82). In recognition to the many years of volunteer services in the community and society, MYC presented the GEHLEN family and the SHAHEEM family with the ‘Lifetime Appreciation Award.’ These 2 families have been major supporters of the MYC and always give a helping hand to anyone they come across either by financially or with kind words. 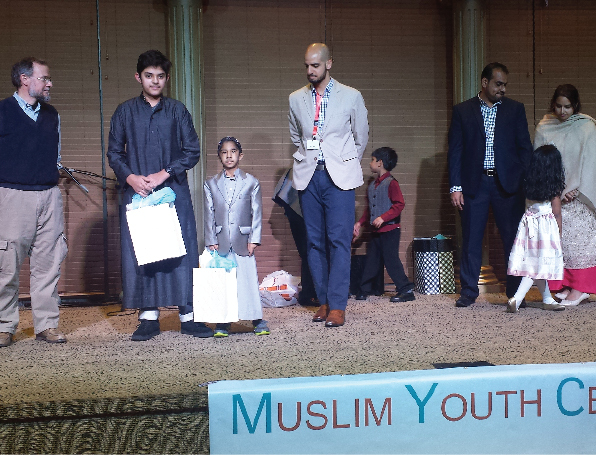 A major thank you to the vendors, Simar Pabla, WorkBC and Modesty Hijab and Fashion by Rahihan Ferdous. The President concluded the Program with a Vote of Thanks and requested everyone to lend their continuous support to the MYC. There was a person who envisioned a place where Youth from all ages, religions and ethnic backgrounds can come, play sports, engage in social activities and meet new friends. This person was Asgar Husain who was the Imam/Regional Prison Muslim Chaplain for British Columbia. To present, The MYC is stronger than ever - with many events for the youth such as Sports Days, BBQ events, Self Defense classes, Islamic Study classes, Food Festivals and Family Day events. It is a unique facility which caters for the physical, spiritual, and emotional needs of our youth. The MYC runs on volunteer work. It is the hard work; time and effort of individuals in our community which help the MYC strive. Finally "Price is Right" game was played which was sponsored by sister Uzma and her family for an iPad prize won by Rayaan.